The inspiration for today's post started with the beautiful bedroom below. 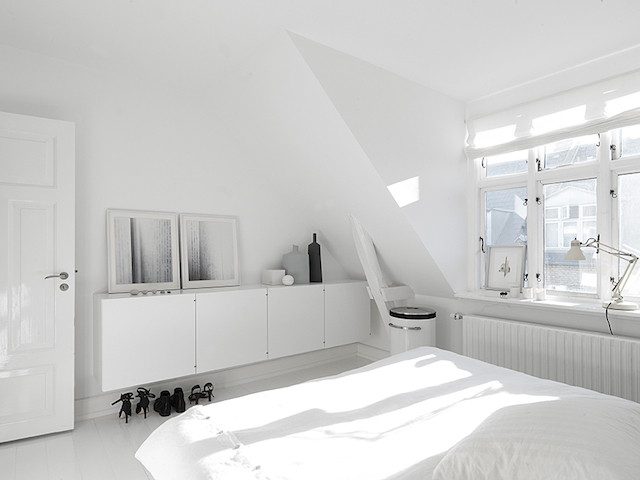 We have the white walls but oh, how I would love the matching floors to create an all-white bedroom haven. 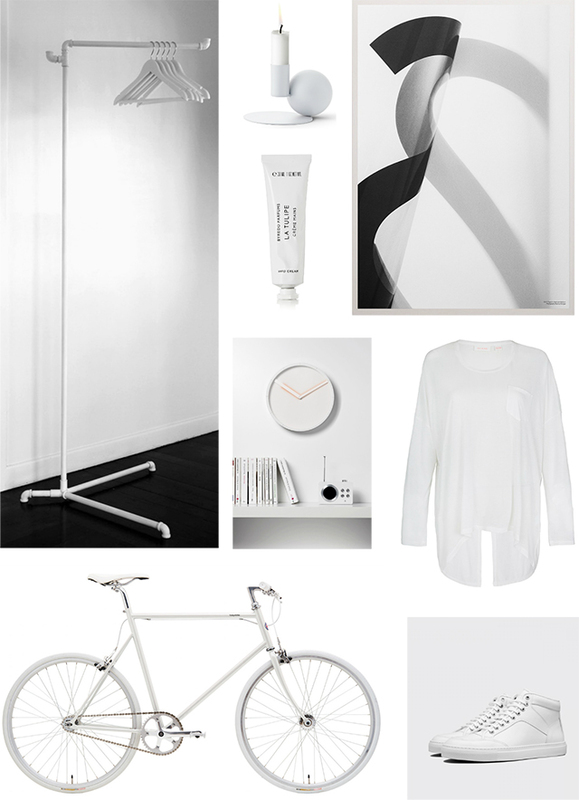 From there, I got thinking about some of the white pieces I have around home and how I'd like a few more. Here are some of my latest finds. 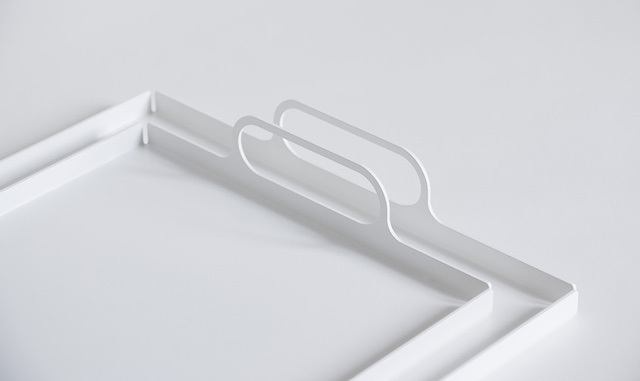 Shown last month at the Stockholm Furniture Fair, the Lop Magazine Rack by Karl Andersson & Söner for Kaschkasch was inspired by the humble paper clip. Made from white metal, I love how its appearance is almost invisible. The Lop can be used on its own or grouped together to store and display several magazines or books. LIXHT is a new brand of furniture and homewares from Canada. Their designs are clean, simple and designed to last. I love the unique shape of the stool, which will soon come with the option of a leather or felt seat pad. 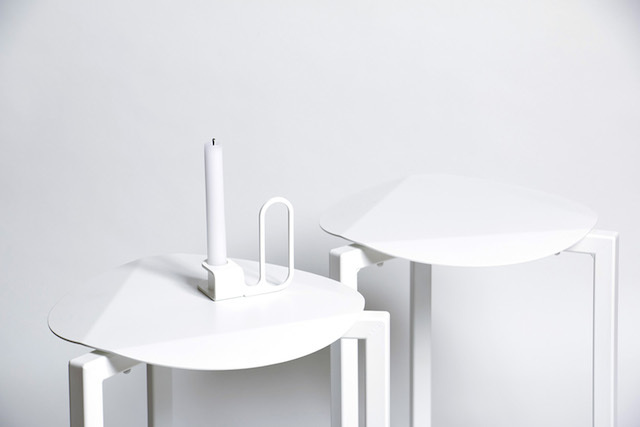 The candleholder and tray also come in black. Here are some more things on my wishlist. Extending beyond furniture and homewares, I'm thinking ahead to the cooler months with my staple being white sneakers. I alternate between Nike, Adidas and Converse, but I also like the ones below. I've actually already ordered the clothes rack, and I'm waiting patiently for the candleholder to arrive in stores... along with all the other incredible Menu SS 2015 pieces!